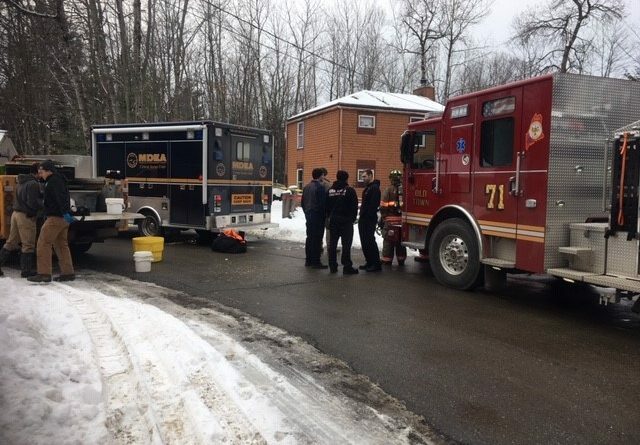 Maine drug agents and Penobscot Nation police are investigating the death of an Indian Island woman in a home where authorities suspect meth manufacturing. Maine drug agents and Penobscot Nation police are investigating the death of an Indian Island woman in a residence where police suspect methamphetamine was manufactured. A 38-year-old woman was found dead early Saturday morning after Penobscot Nation police were called to a residence on the island, according to Stephen McCausland, spokesman for the Maine Department of Public Safety. When inside the home, police found evidence of suspected meth manufacturing, and the Maine Drug Enforcement Agency was called in to assist, McCausland said. Samples were collected for analysis, and hazardous material turned over the Maine Department of Environmental Protection, he said. McCausland said the woman’s identity and other details surrounding her death aren’t being released, but added that there’s no evidence of foul play. It was one of two cases over the weekend where the MDEA was summoned for alleged meth manufacturing, McCausland said. Megan Patten, 28, was arrested Sunday after police say they found evidence of meth manufacturing in a Bucksport home, according to McCausland. In 2018, MDEA responded to 52 reports of suspected meth labs, compared with 28 in 2017, according to McCausland. That represents a sharp decline from a peak of 126 in 2016, after a steady seven-year increase in suspected meth lab busts.